When I’m not food blogging for fun, I am a technical writer for pay. I am very fortunate that I get to do my job from my home office instead of battling traffic and weather to drive into work. One drawback to this setup, however, is that I don’t get to see my work friends very often. I especially miss the ones who love to cook! 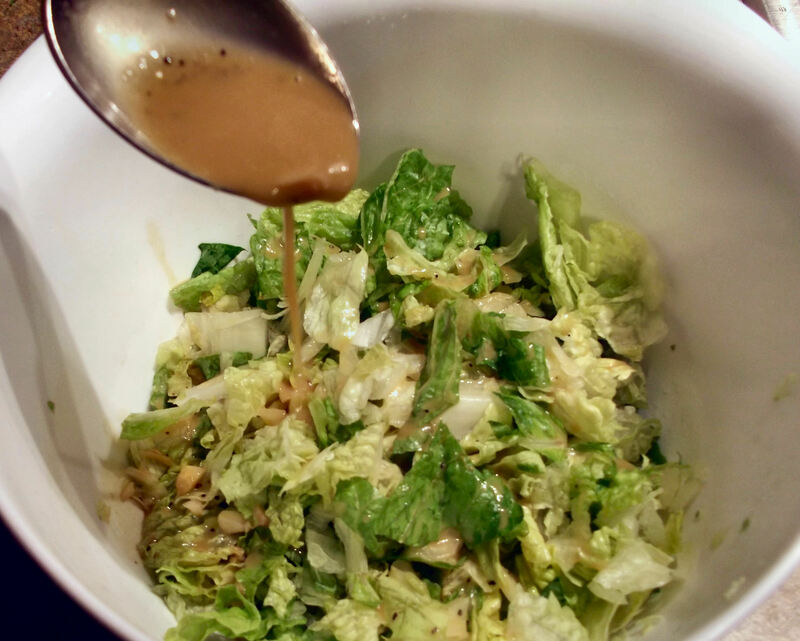 Back when I did still make the commute to work, I was lucky enough that my friend Suzanne shared her Caesar salad recipe with me. This one was definitely worth the drive. Even in rush hour. 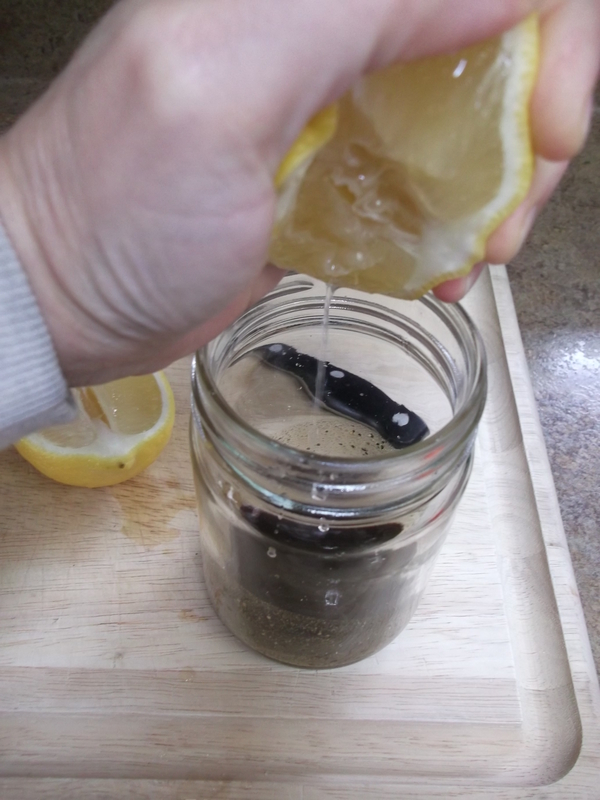 Combine all ingredients in a jar and shake to mix well. Store in the refrigerator; shake well before serving. 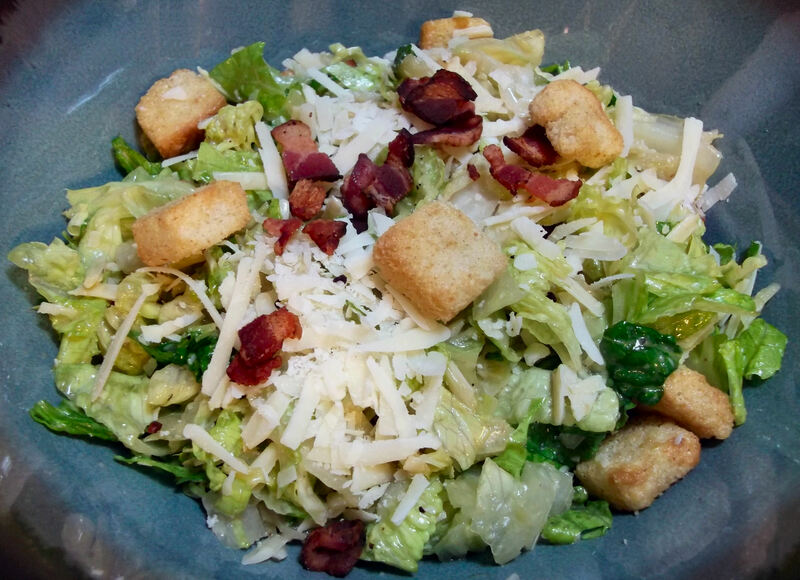 Drizzle over chopped romaine lettuce and toss with grated Parmesan cheese, fresh bacon or pancetta bits, and croutons. This recipe couldn’t be any easier. You really just combine all the ingredients in a jar and then shake it like crazy. 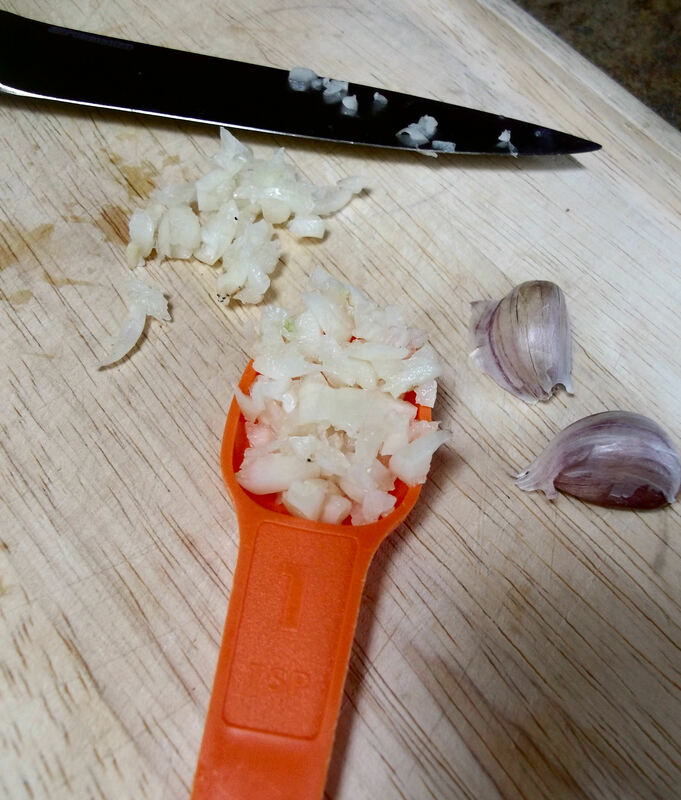 Use as much or as little garlic as you prefer. I used a heaping teaspoon’s worth of minced garlic (about 4-5 small cloves). 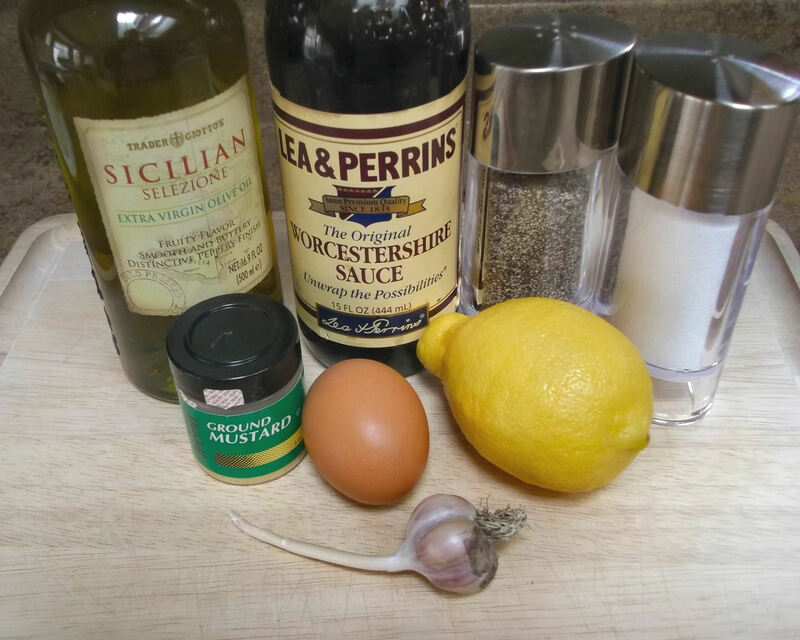 I placed the garlic and dry seasonings in the jar first and then swirled them with the Worcestershire and lemon juice to blend. 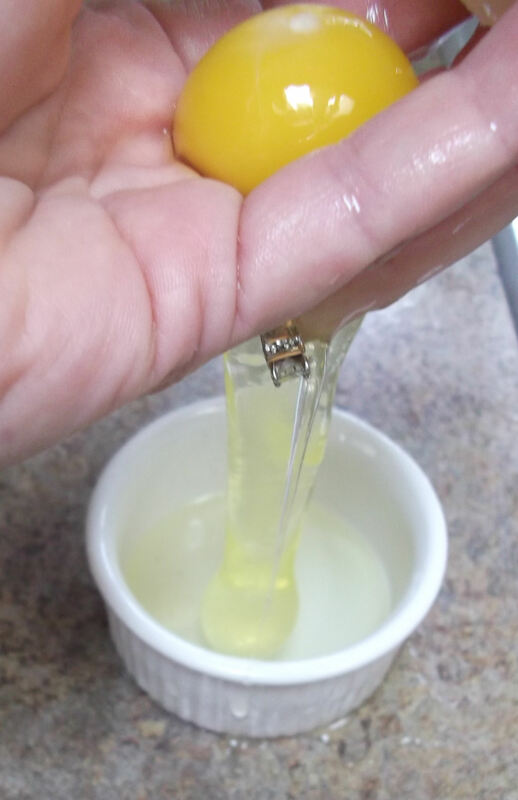 Wash your hands and the outside of the egg, and then separate the egg using your hand. This keeps eggshells from cutting open the yolk or getting mixed in with the egg white. Reserve the egg white for another use. Note: if using a raw egg yolk is a concern, either substitute a yolk-sized amount of mayonnaise or coddle the egg first by immersing in boiling water for one minute and then running cold water over it to stop the cooking. Add the egg yolk, pour in the olive oil, and give it a long, vigorous shake to blend it all together. Taste it and adjust any seasonings that might need adjusting. Store the dressing in the refrigerator; I don’t really know for how long. I’ve stored mine for a week or two but usually use it up long before it would have the opportunity to go bad. Just before serving, shake it really well, drizzle over chopped romaine lettuce and toss to coat. Use as much or as little dressing as you prefer. 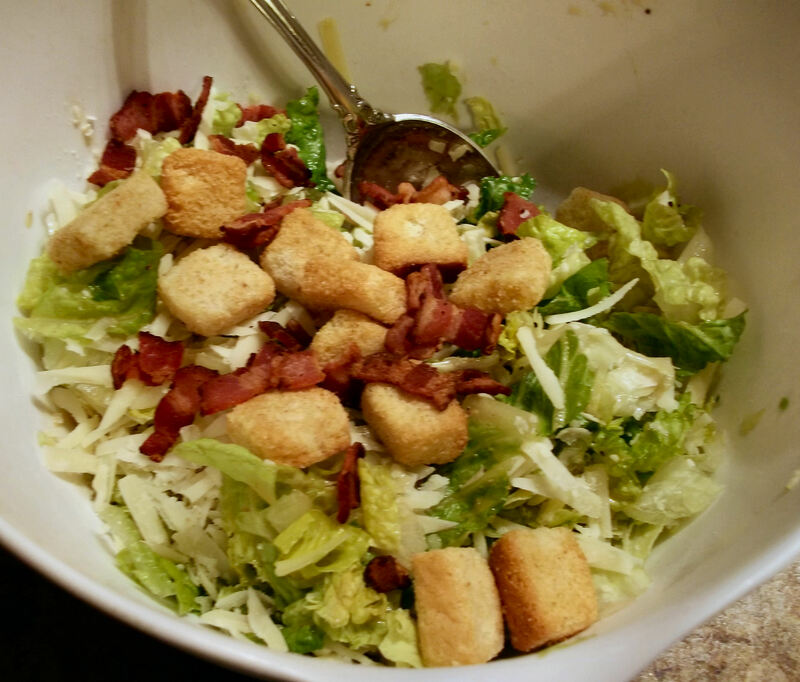 Toss lettuce with grated Parmesan cheese, bacon bits and croutons. Serve topped with additional cheese, bacon and croutons. Enjoy! Any concern about salmonella with the use of raw egg yolk in the dressing? I know, decades ago we all licked batter bowls and never got sick, but that’s back when poultry farming was not AGRIBUSINESS and sanitation was better (or maybe we just didn’t know any better!) The recipe sounds and looks great, otherwise. Thanks. Good question. I have never been concerned, myself, but then I buy only fresh eggs from local farmers and wash the outside of the egg first. I looked it up online, and found that anyone with concerns could substitute a yolk-sized amount of mayonnaise or coddle the egg first by immersing it in boiling water for one minute and then running cold water over it to stop the cooking. Thanks, coddling the egg sounds good. Some recipe sites even said the coddled egg gives the dressing a smoother texture, so I think I will try that next time. 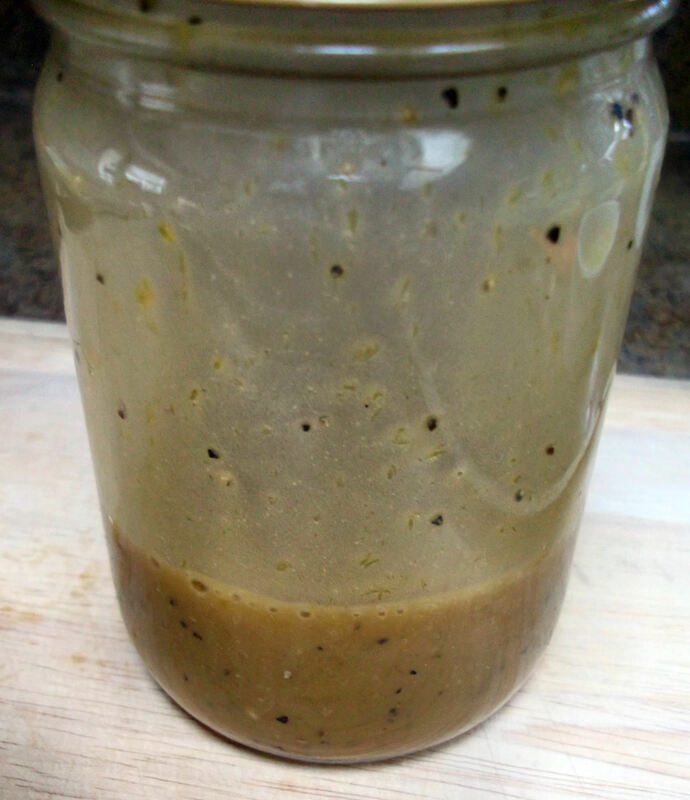 I like the idea of adding the anchovy filets, or even anchovy paste, which I have on hand. I think the Worcestershire adds a touch of that component, but not as much as the real thing would.